18. Will ‘Kurdish Spring’ redraw Middle East map? 25. HDP’s election bet: a calculated risk or Kurdish roulette? PYD Co-president Salih Muslim said the victory in Kobanê had been won by the organisation and struggle of the Kurdish people. He emphasised that the threat of ISIS continued, and that reconstruction and resistance would go hand in hand. Salih Muslim spoke to Osman Oğuz from the Yeni Özgür Politika newspaper. First of all, a significant victory has been won in Kobanê city. What created this victory? Our Kurdish people. You know how devoted the people of Kobanê are to their land and honour. In places in Kurdistan where there was no organisation there were defeats, but now in Kobanê we have organisation. The resistance in Kobanê is a turning point. After a fierce struggle lasting 134 days, mainly Kurdish fighters belonging to the Peoples Defence Units (YPG) and Womens Defence Units (YPJ) finally freed the town of Kobane on January 26 from attackers belonging to the terrorist group that calls itself the Islamic State (IS). 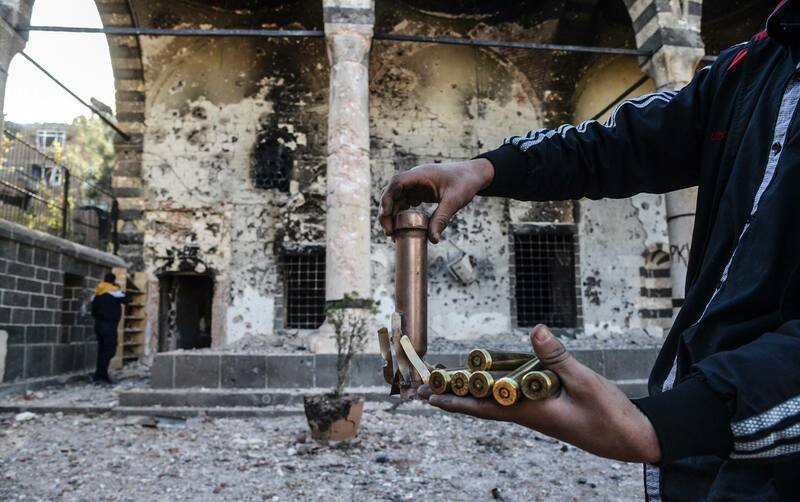 Kobane remains intact — although, only just. Moreover, there are various forces that have shown hostility over the past four months to the YPG, YPJ and other Kurdish revolutionary forces. This will prove a challenge for the ongoing Kurdish struggle for autonomy. In fact, there are some elements who claim to support the Kurdish fighters but do so for opportunistic reasons and are proving a hindrance to the cause. YPG Press Office has said in a statement that 14 more villages and some strategically important points have been liberated, while a member of the ISIS gangs named Murat Baynal with a nom de guerre Ebu Hamza Kurdî, from Kars, has been captured alive. The statement of the YPG said the Kobanê resistance which is now about to reach the phase of complete victory continues in its 144th day, reporting that the advance of the YPG/YPJ forces in the rural areas of the town is ongoing. Mysteriously, the eagle statue in Kobani’s central Freedom Square was still on its feet, just like the tall, slender minaret of a mosque not too far from the square. Around it, the destruction of the city seemed complete. Ismet Sheikh Hasan, defence minister of Kobani’s Kurdish regional administration stood among the rubble and said: “We call on the youth from Kobani who found refuge in Turkey to return home. We need to clean the streets”. The news of YPG (Kurdish People’s Protection Unit) and YPJ (Women’s Protection Unit) fighters being triumphant over ISIS in Kobane had such a great impact that thousands of people gathered in Diyarbakir, Suruc and Istanbul to celebrate that achievement. People from Kobanê who had to take refugee in Suruç following the attacks of ISIS gangs and were sheltered in the state run AFAD tent cities, are now moving to other tent cities established by DBP municipalities because of the bad conditions they have been facing in AFAD tent cities. Families who have moved to other tent cities say they were forced to stay in the AFAD camps as the Turkish state aimed to assimilate them, adding that they had a hard time in AFAD camps due to unhealthy conditions there. An Egyptian man has reportedly delivered a financial blow to the Islamic State (Isis) by becoming “emir” of its alms department and then fleeing with almost one million US dollars to Turkey. Abu Obeida (or Ubaidah) al-Masri, secretary of the Zakat (charity) bureau and treasurer of IS Syrian branch, eloped with the funds amounting to “billion Syrian pounds” which have been collected by his department in Deir Ez Zour province, Al-Masry Al-Youm newspaper reported, citing Syrian Press Center news site. JTW Interview with Lenore Martin: Lenore G. Martin is a Professor of Political Science. She is an Associate at the Center for Middle Eastern Studies at Harvard where she co-chairs the Seminar on Turkey in the Modern World co-sponsored by CMES and WCFIA. Her major field is International Relations; particularly, international relations of the Middle East and Turkey. The largest Kurdish political organisation of Turkey, the Peoples’ Democratic Party (HDP) has decided to enter the upcoming June elections. In what is considered to be a surprising move, the party leadership now wants to challenge the ten percent election threshold that is preventing minor parties from taking parliamentary seats. Istanbul, February 3, 2015–A Turkish prosecutor has indicted Dutch freelance journalist Fréderike Geerdink for “making propaganda” for the banned Kurdistan Workers’ Party (PKK) and Union of Communities in Kurdistan (KCK), according to news reports. If convicted, she could face up to five years in prison, news reports said. The Turkish prosecutor in Diyarbakir, the symbolic capital of the Kurds, charged Dutch journalist Fréderike Geerdink with “terrorist propaganda.” She faces one to five years in prison if found guilty. Geerdink moved to Diyarbakir in 2012. Her areas of expertise include Kurds, human rights, and women’s rights. Police brought her in on January 6 while a terrorism squad searched her apartment. After three hours, she tweeted that the police had released her. Parliamentary debates scheduled to begin today on the government’s contentious new security bill have been postponed at least until next week. According to parliament’s preannounced schedule, the General Assembly-level debates on “the draft law changing various articles of the Law on the Powers and Duties of the Police, the Law on Gendarmerie Organization, Duties and Authorities, the Law on Population Services; and Some Laws and Some Statutory Decrees,” had been set to begin on Feb. 4. Some 5 million people in Turkey were listened in on in 2012, Interior Minister Efkan Ala has stated, referring to a calculation that around 250,000 people who were wiretapped spoke to at least 20 people on the phone. He blamed officers affiliated with the movement of U.S.-based Islamic scholar Fethullah Gülen for the scandal. “A decision was made [to wiretap] one person, but that person speaks to tens of people. Imagine that he or she spoke to 20 other people – this adds up to 5 million people,” Ala said told state-run Anadolu Agency. Sezai Uçar, one of the organisers of the march from Luxembourg to Strasbourg calling for the freedom of Kurdish People’s Leader Abdullah Öcalan, demanded the ban on the PKK be lifted. Uçar said: “On 13 February we will be in Strasbourg. 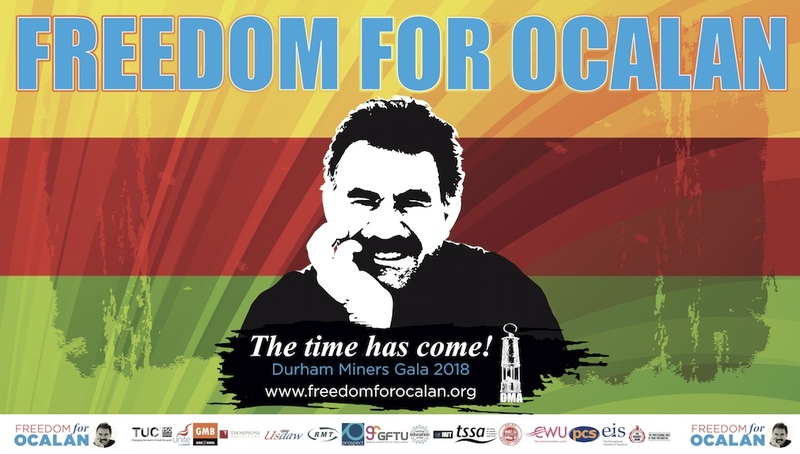 We will hand over the signatures we have collected calling for freedom for Öcalan.” Kurds living in Europe are marching from Frankfurt, Bern and Luxembourg to Strasbourg to condemn the international conspiracy against Abdullah Öcalan. Sezai Uçar, one of the organisers of the Luxembourg march, said the aim of the marches was to demand freedom for Abdullah Öcalan and the lifting of the ban on the PKK. 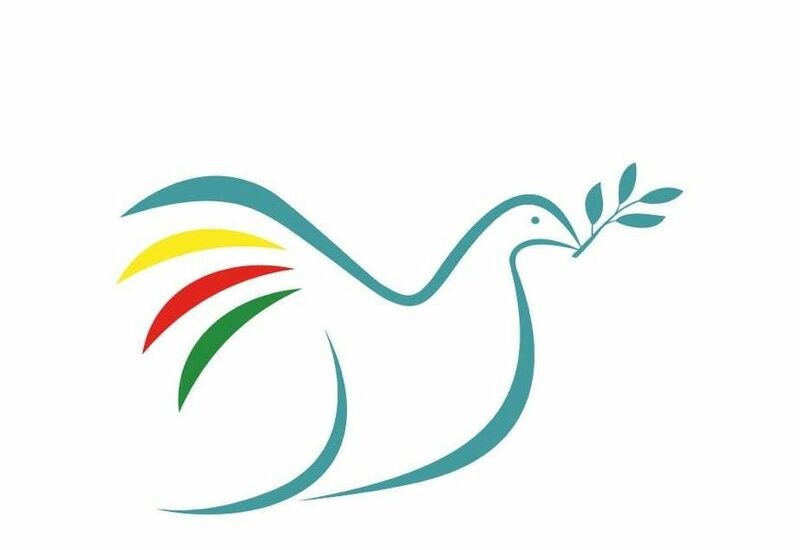 The KCK Executive Council Co-presidency has sent a message to the march beginning today from Luxembourg to Strasbourg, drawing attention to the struggle being waged by the PKK against ISIS fascism in the Middle East. The KCK message saluted those joining the march, which is calling for the PKK ban to be lifted, saying that European states had played a major role in the division of Kurdistan into four parts and the social assimilation and genocide that had taken place. Next weekend an international conference will tackle anti-terrorism legislation, international law and the impact of this framing on the Kurdish struggle. Taking place in Bonn, Germany, the conference will bring together lawyers, barristers and academics around a series of discussion that will include such topics as the right to self-determination; concepts of ‘terrorism’; legal challenges to the PKK ban and the impact of the ban on the Kurdish people; as well as quests for a legal and political solution. Cengiz Candar: It was almost three years ago that Barham Salih, then prime minister of the Kurdistan Regional Government (KRG), on seeing me for the first time after an unusually long interval, shouted from the distance, even before we greeted each other: “The Kurdish moment has arrived!” His jubilant mood reflected the sentiments shared by most of the Kurds around the region. In the aftermath of the Arab Spring upheavals that started in North Africa, rapidly moved to the Levant and took a violent turn in Syria, the insurgent organization of the Kurds of Turkey had begun to issue calls to begin a “Kurdish Spring” by the year 2011. A few months after the revolution in Syria broke out, the Syrian regime permitted predominantly Kurdish towns in Syria to teach the Kurdish language in their schools. This included my home town, Kobani. My sister Shireen, then 19, was supposed to study English literature at Damascus University in autumn 2012, but it became inconceivable to travel between Kobani and the capital given the increase in violence throughout Syria. Shireen instead studied the Kurdish language in Kobani while waiting for the chance to join the university. The concrete eagle in what used to be Freedom Square still surveys Kobani imperiously. But around it almost nothing stands. Buildings have vanished during months of heavy shelling, replaced by snarls of steel and rubble, and the yawning craters left by US air strikes. One side street is blocked by the bodies of Isis fighters, rotting where they fell – a pile of bones marked only by a foul smell. The revolution in Rojava (West Kurdistan/ North Syria), which started in Kobanî (Ain al-Arab) and spread like wildfire through Afrîn, Dêrik (Al-Malikiya), Qamişlo (Al-Qamishli), Amûdê and Serê Kaniyê (Ras al-Ayn) – the regions lying on the Turkish-Syrian border – has launched an alternative development in all aspects of society. Inspired by the model of democratic confederalism and democratic autonomy, democratic assemblies, women’s council and other democratic organisations have been established. The largely unknown until recently Kurdish city of Kobane managed to attract the attention of the world with its fierce resistance against the invasion of the Islamic State and became an international symbol, compared to the defence of Madrid and Stalingrad. The bravery and heroism of the People’s Defence Units and the Women’s Defence Units (YPG and YPJ) were praised by a large spectrum of groups and individuals – anarchists, leftist, liberals and even right-wingers expressed sympathy and admiration for the men and women of Kobane in their historical battle against what was often seen as IS “fascism”. Kobane has been liberated; ISIS gangs have been pushed back to the outskirts of the city; Kurds and their friends all around the world have been jubilant… but the struggle continues and mostly for those people living in tent cities in Suruc, just across the border from Kobane. I was in Suruc for two weeks recently and had the privilege of sharing my life with the tens of thousands of ‘Kobaneans,’ most of them women and children, who are hanging on and waiting for the day they will return home. They are very hopeful that this will happen very soon, but the reality is that the city of Kobane has been all but destroyed. If the pro-Kurdish People’s Democracy Party (HDP) can overcome the threshold of 10% of the total vote in the coming general elections, thus achieving a chance to become an effective main opposition, why shouldn’t it take a calculated risk? Despite the anti-democratic 10% threshold, the HDP’s decision to run in the 2015 elections, not with independent candidates but as a single party, is the correct election strategy. All the attention of the print and visual media, political parties, think tanks, polling companies and most important, the public, is now focused on the HDP. Can the HDP overcome the 10% barrier? What if it does or doesn’t? What will happen then? In an eerie replay of the trumped-up charges from the Egyptian government that three Al Jazeera journalists had been propagandizing for the Muslim Brotherhood, earning themselves multi-year prison sentences from President Abdel Fattah el-Sisi’s court system, Turkey has followed the Egyptian script and indicted Dutch freelance journalist Fréderike Geerdink. Her alleged crime was “making propaganda” for the Kurdistan Workers’ Party (PKK) and Union of Communities in Kurdistan (KCK). Having worked in Turkey for roughly a decade and based in the regional capital of the Kurdish area in Southeast Turkey, Geerdink has specialized in her reporting on the rights of Kurds and Turkish human rights issues overall. Bashar al-Assad has once again crossed his own “red line” on food subsidies. The Syrian government increased the price of a standard bundle of bread (1.55 kilograms) to 35 Syrian pounds ($0.19) from 25 Syrian pounds on January 17—the second increase in the price of bread during the past seven months. The policy change, a shock to many Syrians, may prove to be a key chapter in a conflict where the government has used starvation and hunger as effectively as it has barrel bombs and chemical weapons. While food was once a critical tool used to appease loyal populations and punish the opposition, the bread price hike suggests that the regime is feeling the pangs of its depleting resources. What next for Turkey and the Kurdish resistance after the local elections?